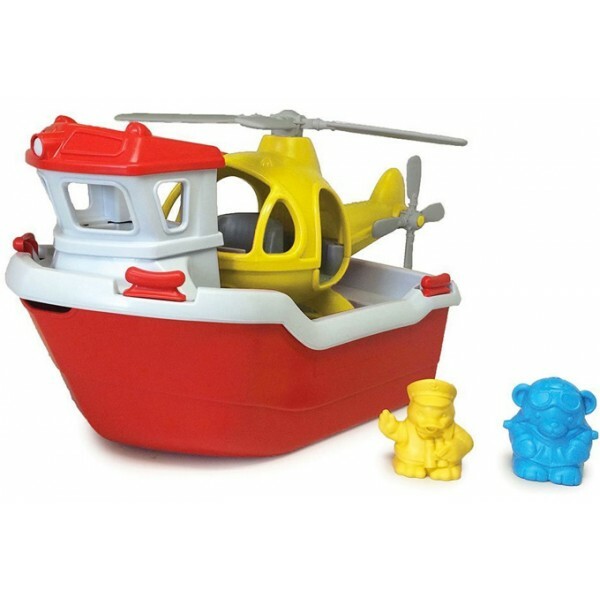 No water rescue is out of reach when the Green Toys Rescue Boat and Helicopter gets the call! 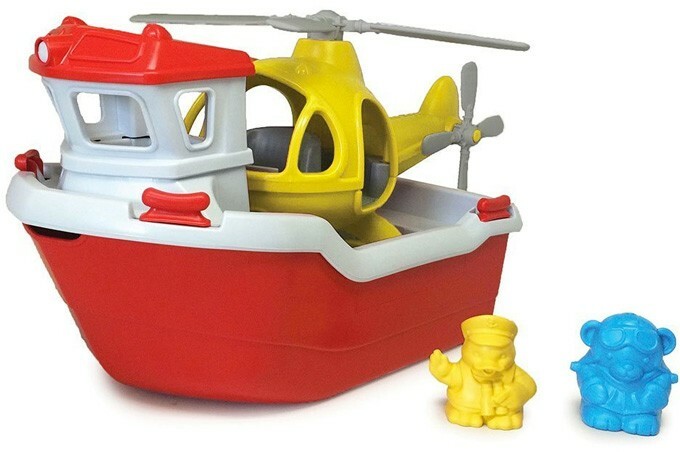 This two-in-one toy is just as fun on land as it is in water, with a bright yellow, full-size Helicopter nestled on the back deck of the red and white Rescue Boat. 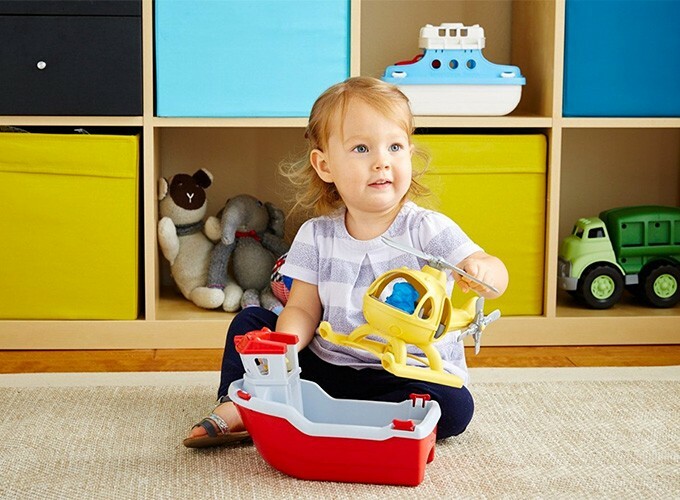 The set also includes two characters, a Captain Duck and Pilot Bear, ready to go wherever your child's imagination takes them. Specially designed to float in the water and open for the dishwasher, this ship is a perfect addition to any bathtub fleet. 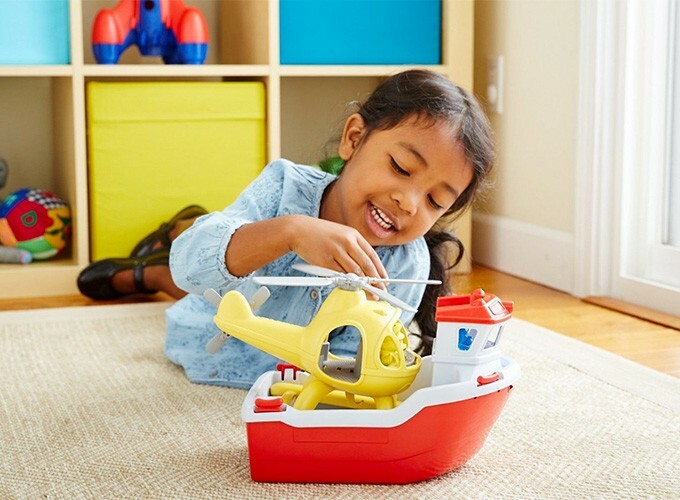 All Green Toys are made in the USA from 100% recycled plastic with no BPA, phthalates, or PVC, and packaged with recycled and recyclable materials printed with soy inks.